Two of the ethical observances of yoga on the relationship to ourselves, the niyamas, santosha, contentment, and tapas, discipline, are found next to each other in Patanjali's account in the Yoga Sutras (verses 2.42 and 2.43), which at first may seem controversial. But think about it: in order to enjoy physical freedom in our bodies, we need to maintain them healthy, and therefore exercise in a conscious way appropriate to our constitution, eat moderately, rest adequately. In order to enjoy psychological freedom, we need to practice letting go of mental patterns that do not serve our happiness, for example dwelling on the past and self-blame, replace negative thought patterns with positive ones, and so on. Discipline is necessary in changing habits that we know no longer serve their purpose (if they ever did, at least in part). In this sense, discipline is very different to self-coercion. In actual fact, the Latin origin of the word, disciplina, can be translated as "to impart knowledge" or "to enlighten". Rather than constrain, the purpose of discipline, thus, is to support and provide a frame for our thoughts, energy and actions in order to allow our full potential for happiness and fulfillment to unfold. As one interpretation of tapas outlines, it is a burning desire, a burning motivation, to be free. The actions taken as a result of this inner force towards structure in our lives are rooted in the experiential knowledge of what leads to being free, light, happy. Let's look at the relationship between a desire and its satisfaction, as we often associate discipline as "resisting" this desire. What if we are able to give it space, allow ourselves to sit with the desire, discern the longing, the need to feel fulfilled, complete, happy, free, that is hidden behind and is only expressing itself as the particular desire, speaking through the desire for the specific object, and in full awareness choose in what way to respond to it? Donna Farhi elucidates this in a beautiful way: What happens in the pause between the longing for a feeling of freedom and how we respond to that longing? [...] It is in this pause that we make a choice. For instance, we may come hom from work, and the moment we find the house empty we feel a twinge of lonelinss. [...] Let us imagine that something in us wants comfort or a lightening of spirit. This is a potent moment that many of us experience daily, if not hourly - the moment of feeling a longing for happiness. If we can get comfortable in being in that pause, however it manifests for us physically, psychologically and emotionally, we have a better chance of responding to our longing in a way that is not simply a stopgap measure. Maybe we have become accustomed to grabbing for the remote, pouring ourselves a drink, or reaching for the phone. Usually these mechanical strategies simply dull or numb our feeling state. [...] What might happen if we had the presence of mind and the wherewithal to really be in that pause and ask what would truly satisfy us? When we contain rather than constantly discharge our feeling state, we allow ourselves to feel completely. In feeling completely, we reexperience our aliveness and the source of that aliveness. When we cultivate the discipline to pause, it becomes possible for us to make a choice that is outside our normal habit pattern. And it is in breaking through these entrained patterns that we can begin to experience a more liberated state of being. 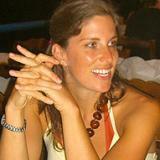 Gradually we become the freedom that we previously longed for (Bringing Yoga to Life, 2004, pp. 70-71). Pausing and asking oneself whether my choices truly support what is deeply satisfying in my life thus becomes a spiritual practice in itself. Discipline becomes an act of the utmost kindness, attentive presence, love towards oneself. "Do you have the discipline to be a free spirit??" 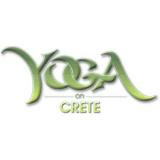 NEW summer course at YogaOnCrete! !